I love to explore. Always when I drive in my car and see the glimmer of the sun on an airplane in the sky, I wonder where they are headed and itch to go along! But traveling can bring its own set of frustrations! I dread having to live out of a suitcase. I hate searching for things in my handbag, while the rest of the items I’m trying to carry falls to the floor. But to give up on traveling is not an option, so I have written down the little things I do to make it more convenient and fun! You will only really need your driver’s license and your credit card. There is no need to take the rest of your cards along. Keep passports and airfare tickets separate, as you will need them often and you won’t want to dig for them in your handbag. Print a map, you will need an internet connection for electronic maps, and that might be a challenge in remote areas or when data roaming is off. Choose accommodation with Wifi, especially when traveling abroad. Never travel on unfamiliar roads in the dark….. Always try to find a local brew of beer or coffee. Or maybe a soft drink unique to your destination! I remember in Malawi we had Sobo Cherry Plum and in Germany, Johannisbeer, which is made from a Johannisbeeren berries! Stay hydrated. Small sips. Public loo’s are the enemy. 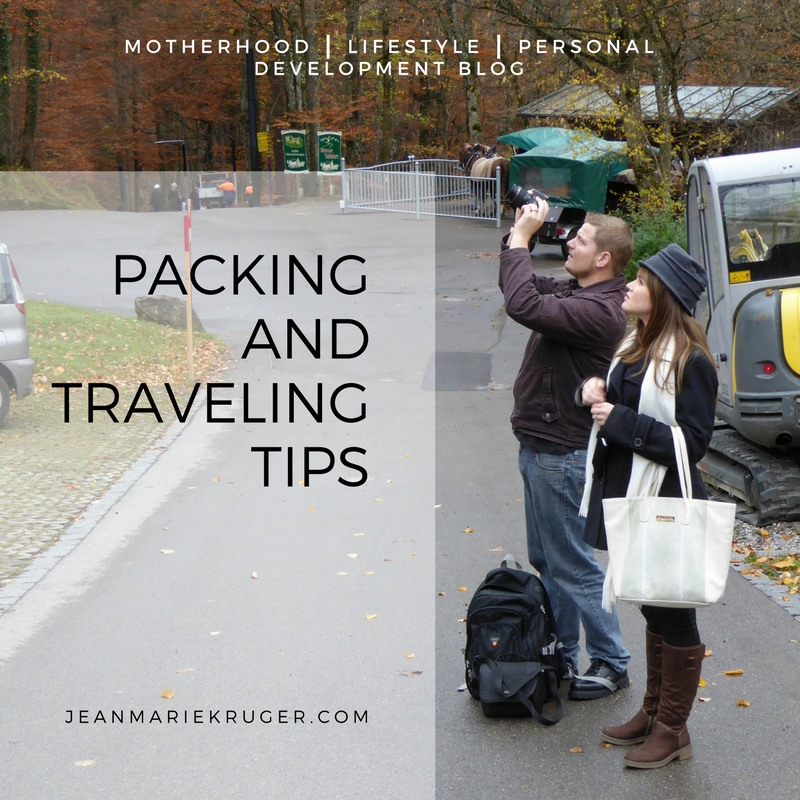 Try to take travel size amounts of everything – Label them! Pack only two pairs of shoes if possible. Unpack immediately after arriving at your destination and put the bags out of sight. I HATE tripping over shoes and bags when I travel. I HATE IT! Pack random things for your toddlers to play with. Do not forget their toys there, like I tend to do! Jurgen’s Lego truck that I forgot at a guest house last year will forever haunt me. Pack healthy snacks. When they see an M sign, they are somehow instantly hungry. Stick to their routine, it really makes them feel secure after an over-stimulating day and being in different surroundings. Unpack immediately after arriving back home. Yes, you will probably be tired, but it will be more annoying when you want to take a shower and dry your hair, with nothing back in its place!!! I have found that if you pack everything in categories, it takes just about 5 minutes to unpack at home. I take a big plastic bag along for the dirty laundry. Then all the messiness is contained and your suitcases aren’t cluttered.